The ore-field around Wanlockhead is the most important lead-zinc and mineral deposit in Scotland. 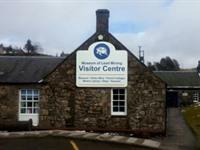 The award-winning Lead Mining Museum is only 2 minutes walk from the house. It has a mine, cottages and library tour and you can also try your hand at panning for gold! Visit Website call 01659 74387. Open Easter September. Drumlanrig Castle, 20 minutes drive from Wanlockhead, is set within the Queensberry Estate and is the home of the Duke of Buccleuch and Queensberry. The castle is within a Country Park and has a beautiful Victorian garden. There are extensive woodland walks and way-marked mountain bike routes, and an excellent children’s adventure playground. You can also hire bikes at Mike’s Bike Shed which is situated in the castle grounds. 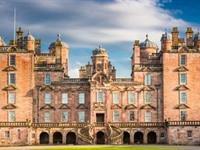 Drumlanrig Castle also offer Landrover Safaris and Ranger led walks. 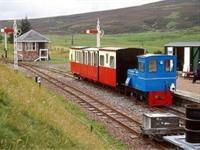 The Leadhills and Wanlockhead Railway is Britain’s highest narrow gauge adhesion railway, reaching 1500feet above sea level. The railway has been managed and operated by a volunteer work force since 1983. A great day trip is New Lanark World Heritage Site, about 30 mins drive away just next to Lanark. 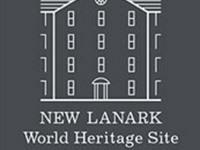 New Lanark is a fully restored 18th Century Cotton Mill village with an award winning visitor centre and various exhibitions. It is also next to the Falls of Clyde, where a short forest walk leads to spectacular waterfalls. 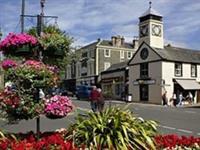 Moffat is another nearby town, about 35 minutes drive away. It is the home of the famous ‘Moffat Toffee’ and it has a lovely river walk, playpark, boating pond, shops, cafes, pubs/restaurants etc. 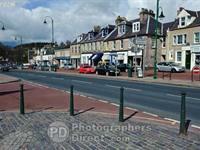 The town of Biggar is also only about 25 minutes drive away where there is a good golf course, play-park, puppet theatre and museums as well as lots of lovely shops, cafes and pubs.